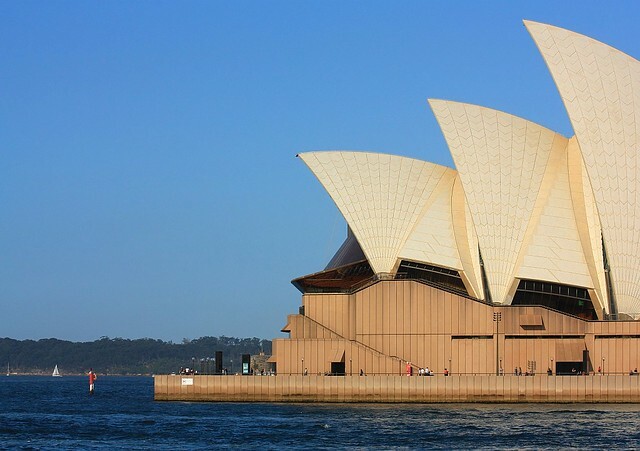 With this slightly modified take on the Opera House in late-afternoon light (i.e., 2 hours before sunset), I’m reminded about how much I’ve enjoyed my time in Sydney, which is about 6 to 7 weeks in total over 4 separate trips since 2007. Sydney is on my hit parade once again, this time for 2012. For most, it’s a long way to Australia, but a 13-hour trip from here in Chile across the south Pacific isn’t really all that long, since any significant trip outside of South America is going to take at least 24 to 30 hours door-to-door. From a travel perspective, an “open jaw” ticket is a specific and flexible type of air ticket, about which you can read here. I made the photo above on 26 September 2010 with the Canon EOS450D camera, EF 70-300mm IS lens, and the following settings: 1/1000s, f/8, ISO200, 70mm. This post is published originally on Fotoeins Fotopress (fotoeins.com).